If you're scouting for a casual yet seriously stylish outfit, consider pairing a black turtleneck with black skinny jeans. Both pieces are totally comfortable and will look great paired together. To add more class to your ensemble, finish off with black leather chelsea boots. If you're in search of a casual yet seriously stylish look, make a black turtleneck and black leather sweatpants your outfit choice. Both items are totally comfortable and will look great together. Orange leather derby shoes will instantly lift up even the laziest of looks. 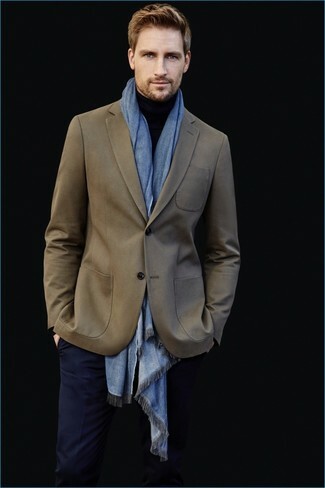 For a nothing less than incredibly stylish look, try pairing a Calvin Klein Jeans turtleneck sweater from Nordstrom with navy dress pants. As you can see, being a dapper dude doesn't take that much the place of work. Just consider teaming a Calvin Klein Jeans turtleneck sweater with black vertical striped dress pants and you'll look nice. 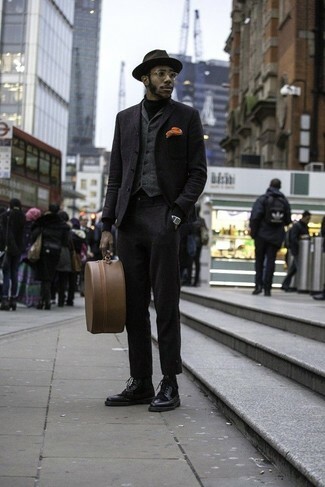 When it comes to shoes, this look is round off nicely with black suede double monks. If you prefer relaxed dressing when it comes to your personal style, you'll love this stylish combination of a Calvin Klein Jeans turtleneck sweater and blue ripped jeans. You could perhaps get a little creative when it comes to footwear and lift up your look with brown suede chelsea boots. For a nothing less than incredibly stylish getup, marry a Calvin Klein Jeans turtleneck sweater with a red check suit. 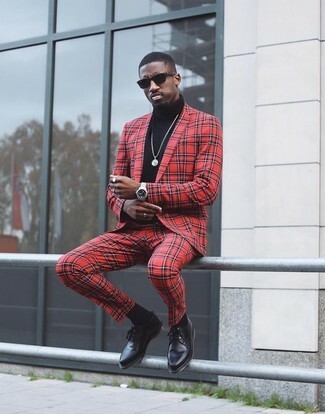 When it comes to shoes, this look is round off well with black leather derby shoes. 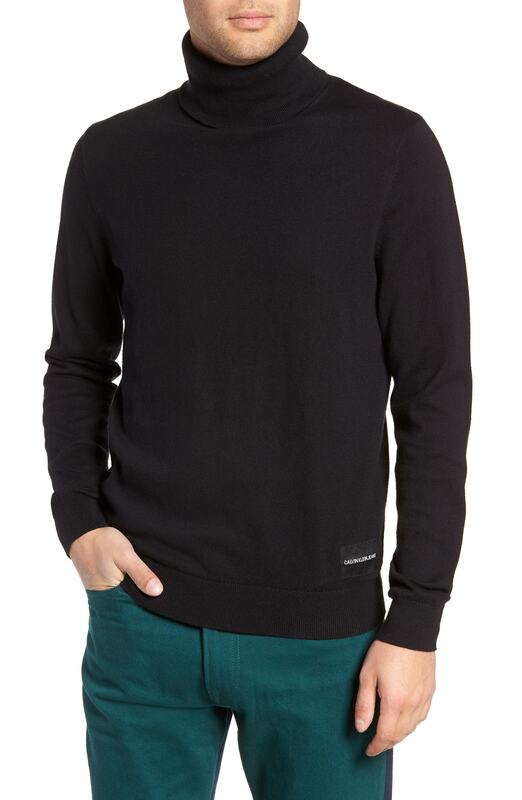 Look the best you possibly can in a Calvin Klein Jeans turtleneck sweater and black dress pants. Dark brown leather derby shoes work spectacularly well here. As you can see here, being a dapper dude doesn't require that much effort. Just pair a Calvin Klein Jeans turtleneck sweater with a black wool blazer and you'll look awesome. 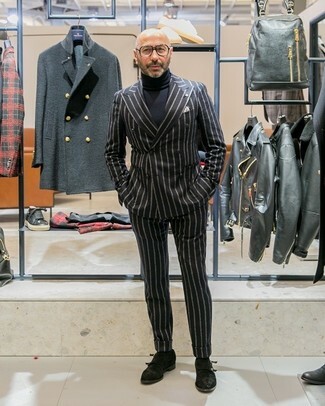 When it comes to footwear, this getup is round off really well with black leather brogue boots. 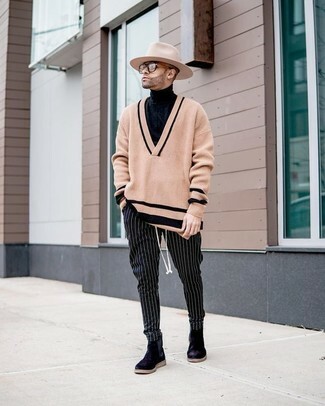 If you're on the hunt for a casual yet stylish look, pair a Calvin Klein Jeans turtleneck sweater with black and white vertical striped chinos. Both garments are totally comfortable and will look great paired together. Take a classic approach with the footwear and opt for a pair of black suede chelsea boots.